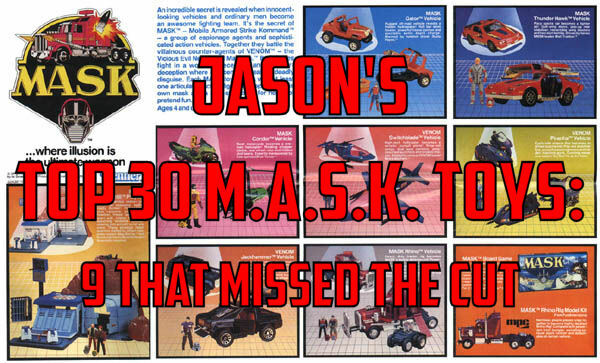 Jason's Top 30 M.A.S.K. Vehicle Sets: Nine That Missed The Cut - Agents of M.A.S.K. 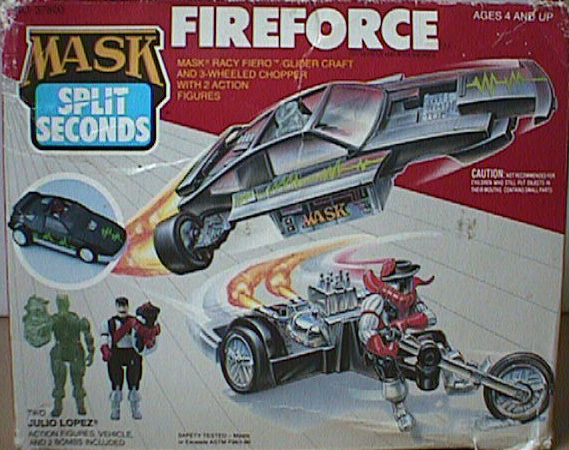 It's M.A.S.K. Day 2015 and also the 30th anniversary of the first animated series episode "The Deathstone" airing in the United States! 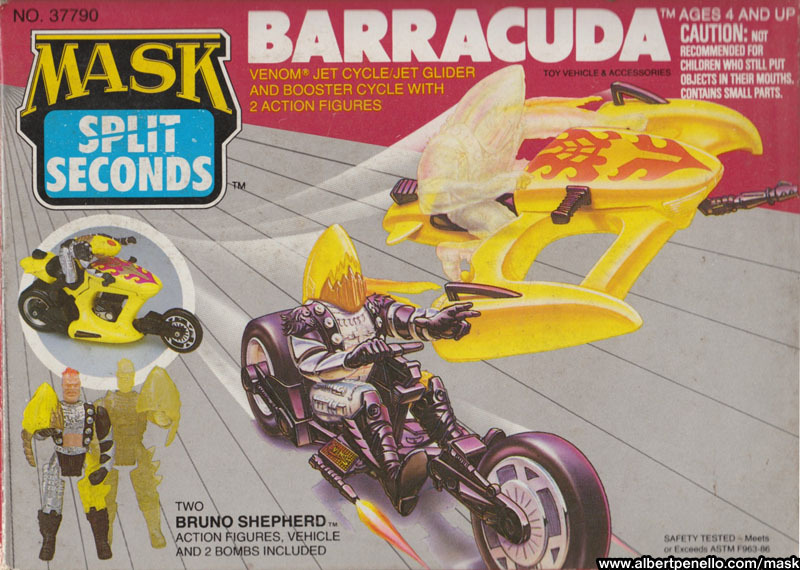 Of course, along with the launch of the cartoon was also one of the greatest series of toys from the '80s (call me bias if you like.) I thought that a fun way to pay tribute on the 30th anniversary would be to rank the top 30 vehicle toys! Not counting the figure sets (of which I'm including Scott & T-Bob,) Kenner released a total of 39 figure/vehicle sets from 1985-87. This means I had to choose 9 sets to leave off my list of 30 completely which is a somewhat difficult task as a collector. Most of you might know that there were also two prototypes, Ramp-Up and Thunderball, that were never produced so I'm not including those in the 39 total sets. So what's my recipe for ranking? A dash of popularity, a sprinkle of wow factor, and a large helping of my own opinion. In other words, my top 30 is simply that. It has nothing to with their rarity or sales volume and everything to do playability and just my personal preference. First, let me list the 9 sets that missed the cut for my top 30. 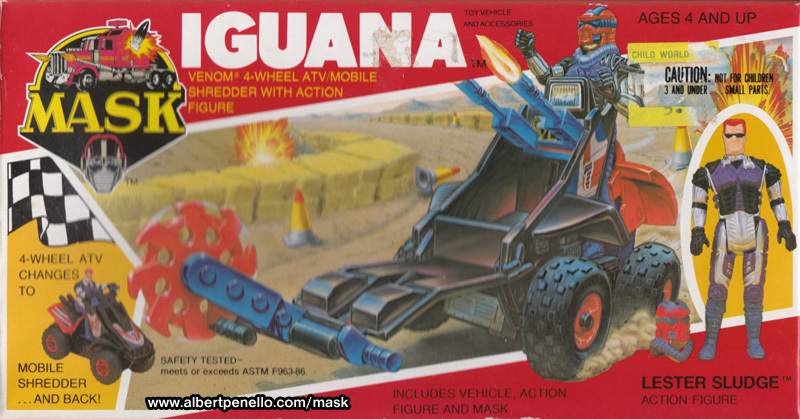 For this post, I'll be using images from Albert Penello's M.A.S.K. website. Let's begin! 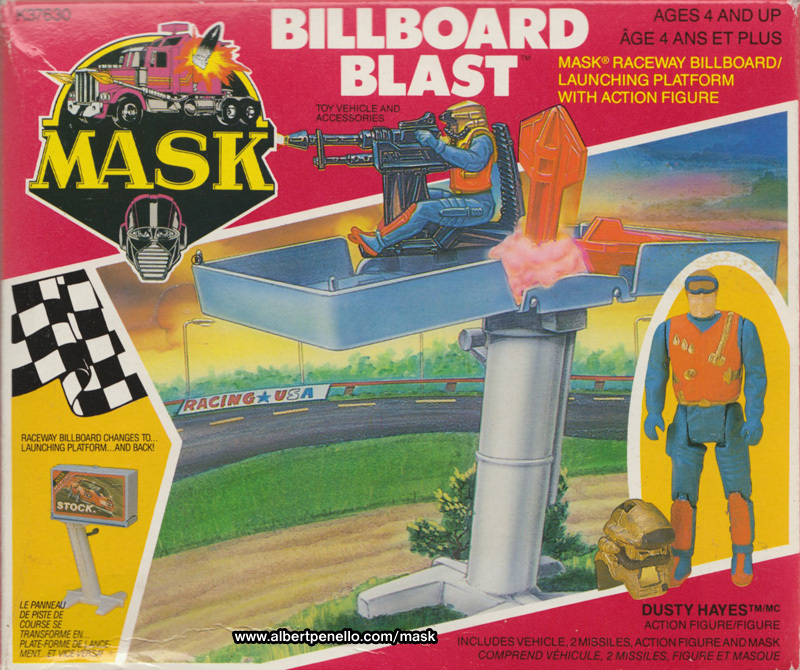 Billboard Blast is an easy "target" for one of the worst M.A.S.K. toys. 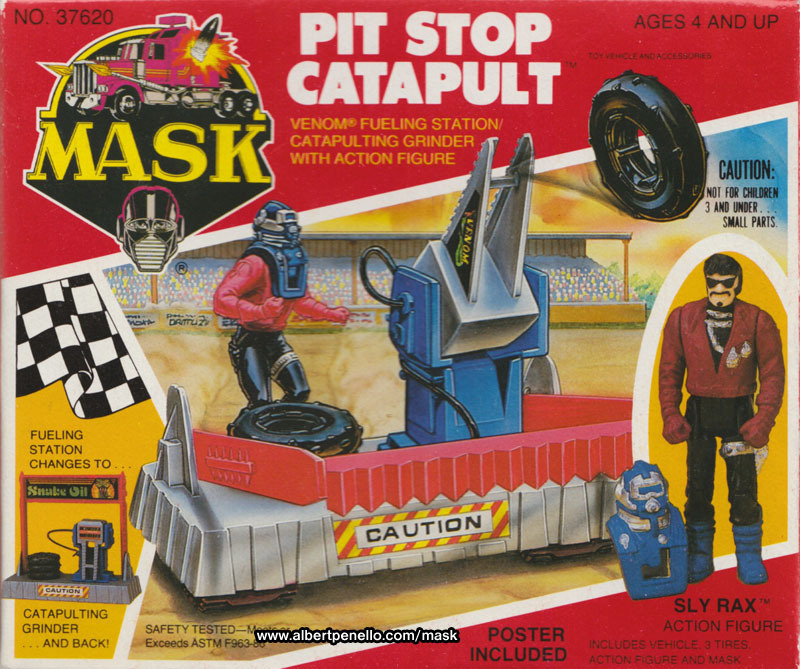 I actually remember having it as a kid and I did play with it, mainly for its missile launching feature. But let's face it, there's nothing mobile about a billboard and poor Dusty must have been pretty lonely in there waiting for the action with no satellite TV. 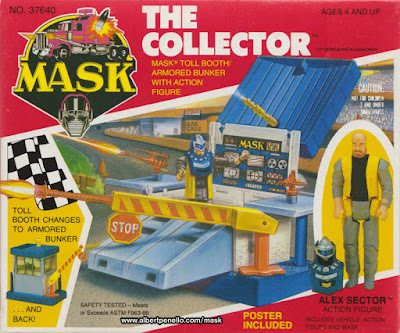 I also had The Collector as a kid and even though having a toll booth for your vehicles was actually pretty fun, there was nothing really attractive about this set. You couldn't shoot any missiles and it was difficult to close the booth with the Alex Sector figure still inside. Notice a pattern here? Pit Stop Catapult probably had the most going for it, being able to launch tires and even having flip-down tank "tracks." But as much as I liked the new paint scheme for Sly Rax and played with the set as a kid (yes, I probably bought all of these first three sets on clearance), it's still not one of the greatest when compared to actual vehicles. I mainly have a disconnect with the Split Seconds series of toys because I never had any as a kid and of course, none ever appeared in the animated series. While some sets are really cool, Fireforce was never one that I've particularly had to have once I started collecting. The shooting "bumper cannon" was supposed to do what exactly? And out of all the cool motorcycles in the M.A.S.K. collection, this 3-wheeled chopper was definitely not near the top. Again, the disconnect with Split Seconds and the odd shape of this "booster cycle" leaves it off my Top 30. Those conehead masks for Bruno "Shepherd" (differently spelled than the Stinger set) aren't really that aerodynamic for traveling down the highway. 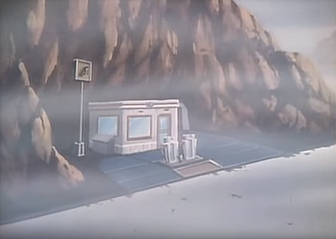 The two drop bombs were also a weird shape. 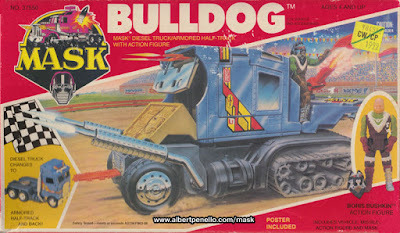 Although the cab-over style rig is notable for '80s-era toys, Bulldog was never appealing to me. It looks like a big mess when converted, not knowing if it really wants to be a tank. I do like the Boris Bushkin figure and mask, but it wasn't enough to push it into my Top 30 list. If I had to choose #31 on this list, it would probably be Vampire. I do like the chrome paint and the figure/mask is very cool (always loved that his hair was visible.) 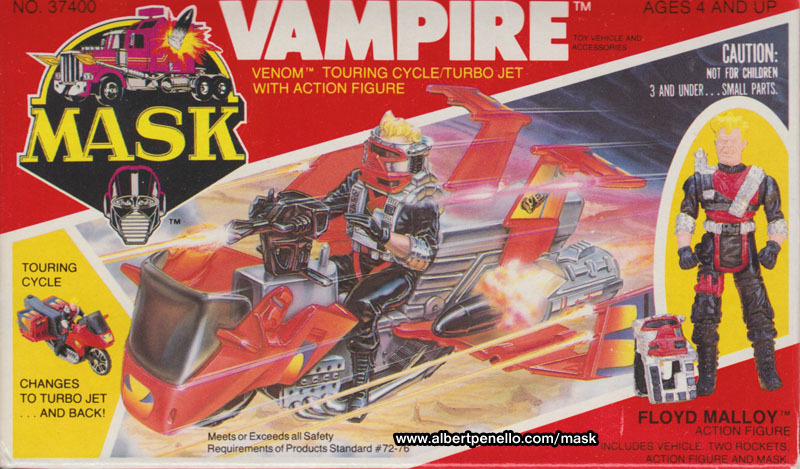 Let's face it though, after playing with the bike for awhile the wing mechanism wore out and it was harder to conceal the jet engines. Plus, the push missiles were hard to shoot very far. Iguana always seemed like a death trap to me. With the back seat squishing Lester Sludge's legs, I always felt sorry for the guy. I never thought it would be fast enough to catch an actual car to use the shredder blade either. 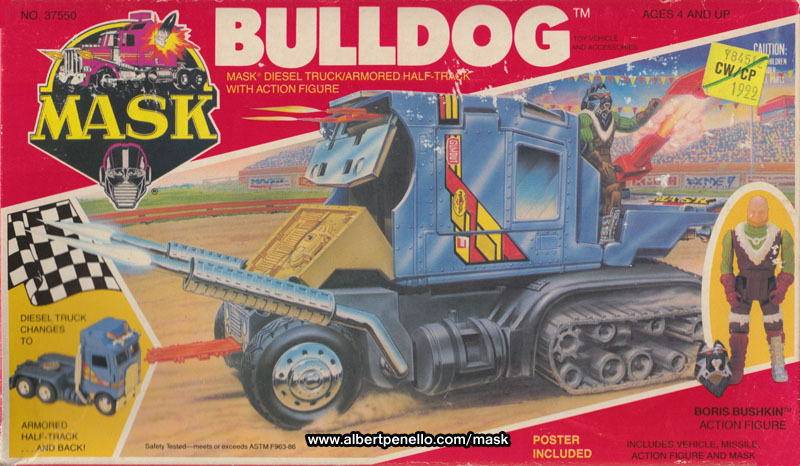 The Mudslinger mask is also one of least favorites because it always looked to me like he was wearing a ski mask over a baseball cap. 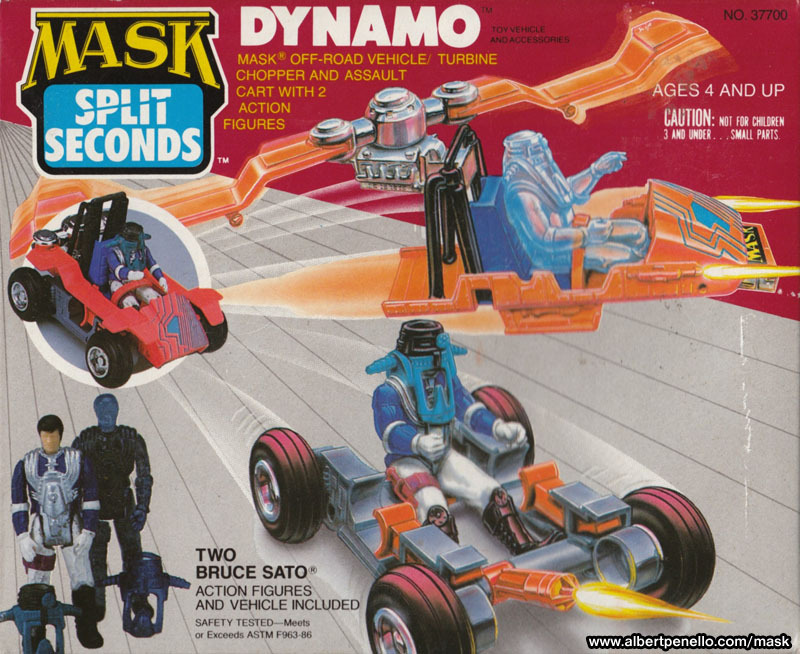 The final vehicle set that didn't make my cut is Dynamo. Bruce Sato just doesn't seem like the dune buggy type and the opened-wheeled "assault cart" looks a bit ridiculous to me. Can he get a windshield or something? The helicopter design is actually pretty good (always enjoy spinning copter blades as a kid), but this one has never been appealing to me. So there are the nine vehicles and figure sets that missed my Top 30. Leave a comment if you agree or disagree. I'll be revealing my Top 30 list throughout today beginning with 21-30 next and then so on.